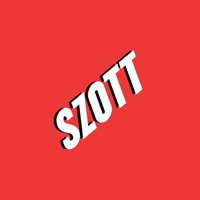 New All New 1500 For Sale in Highland, MI | Szott M59 Dodge Ram " "
What Makes the New Ram 1500 for Sale So Inspiring? As ever, the All-New Ram 1500 delivers exceptional capability. The available 5.7L V8 and standard 3.6L Pentastar V6 offer a revolutionary eTorque system, so you’ll command up to 395 hp, tow up to 12,750 pounds, and carry up to 2,300 pounds, while enjoying superior performance and efficiency. Onboard technology is equally impressive, with features including a Largest-in-Class 12-inch touchscreen, 19-speaker, 900-watt Harman Kardon® premium audio system, and Adaptive Cruise Control with Stop and Go. You’ll even enjoy an available Best-in-Class interior storage volume of 151.1 liters. Whether you want to compare the new Ram 1500 against the new Ram 1500 classic or the 2018 Ram 2500, we can help. Simply contact us today for any further advice or assistance.